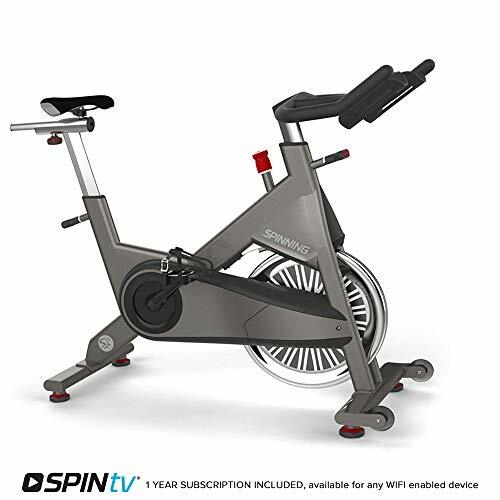 If you’re a fitness freak or have ever just had a random spurt of inspiration to get into shape, then you owned an indoor cycling bike at some point. They’re easy to use and don’t take up too much space. It’s a convenient way of exercising without actually having to leave the house, which seems to be the general wish of the public nowadays! People use the weather or distance as an excuse to skip the gym and thus develop a habit of being irregular. If there’s a bike right at your house to exercise on then, they’re fewer ways of escaping from exercise! A gym motivates people better since they’re working out in a group. However, doesn’t it sound better to work out at home than walk or drive all the way to the gym, wait for a bike to empty, and then make your way back home sweaty and exhausted? An exercise bike is very easy on the joints without putting too much strain on your muscles. This is convenient for people with knee or back problems. It’s a great way to burn calories and fat stores, and it’s a good oxygen boost. An exercise bike is particularly useful for beginners who don’t know much about what workouts would suit them. Thus they end up working quite hard but not so much that they would be demotivated to do it again. A person can even set up their laptop or TV in front of them and play a regime fitness video or just something entertaining like music while working out. While buying a bike one has to consider a lot of options before deciding on one. More often than not people overestimate their ability to stick to their workout plans (especially beginners) and end up buying high-end bikes that might later just go to waste. So one should keep in mind their requirements and potential before buying an indoor bike. There are a few essential features that are necessary for every piece of equipment. Comfort is the number one priority. Since a person will be expending a lot of time and energy on this piece of equipment, it is essential that he/she have a comfortable seat. The bike should also have various levels of resistance. The pedals have to be wide enough and preferably with straps attached to them so your feet won’t slip while pedalling. Recumbent bikes take the load off of your back and knees, giving you a no-impact workout in the comfort of your home. This delivers an ideal workout if you’re recovering from injury or looking for a safe form of cross training. The built-in the computer must display basic stats like speed, time and the number of calories burned. One must check the weight limit or the weight of the bike; stability is essential. The heavier the bike, the more stable it will be. Some of the best indoor bikes in 2017 are the Sunny SF-B1001 Indoor Cycling Bike, Exerpeutic LX7 Training Cycle with Computer Monitor and Heart Pulse Sensors, Phoenix 98623 Revolution Cycle Pro II Exercise Bike, Reebok 510 Indoor Cycle and much more!